This classic wine cellar option offers protection from direct sunlight, ambient ground temperature, and often higher than normal humidity. 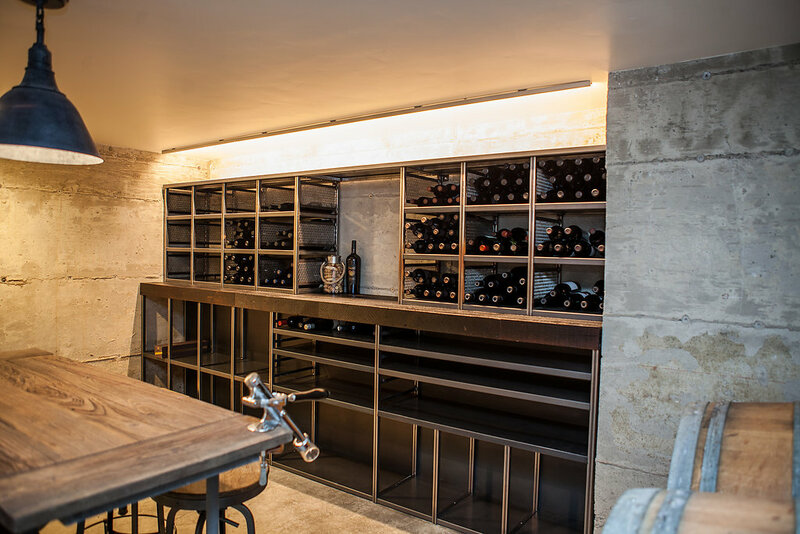 We built this cellar with a door, hidden as a wall, and a simple sitting area to relax while considering and enjoying the options. Enclosed pods are climate-controlled just like a room or cellar, usually enclosed in glass, and often incorporated into a great room, dining area, or kitchen. 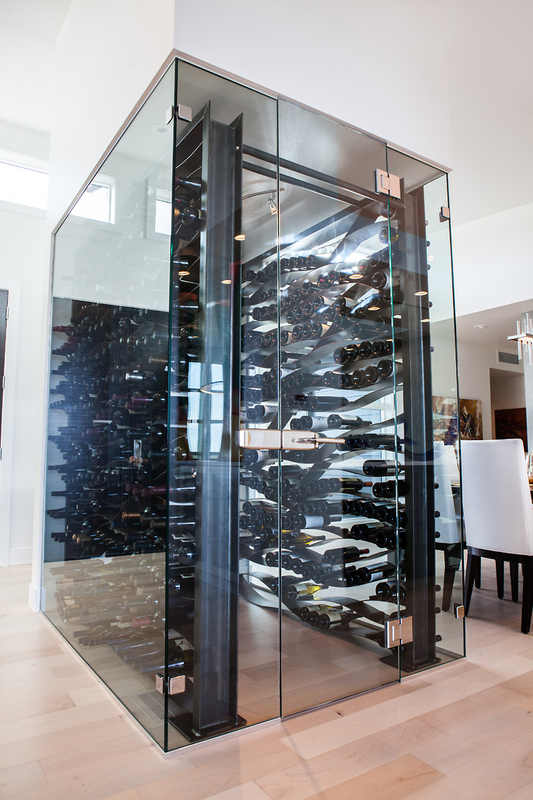 We built this glass encased pod with a beautiful, custom steel wine rack. 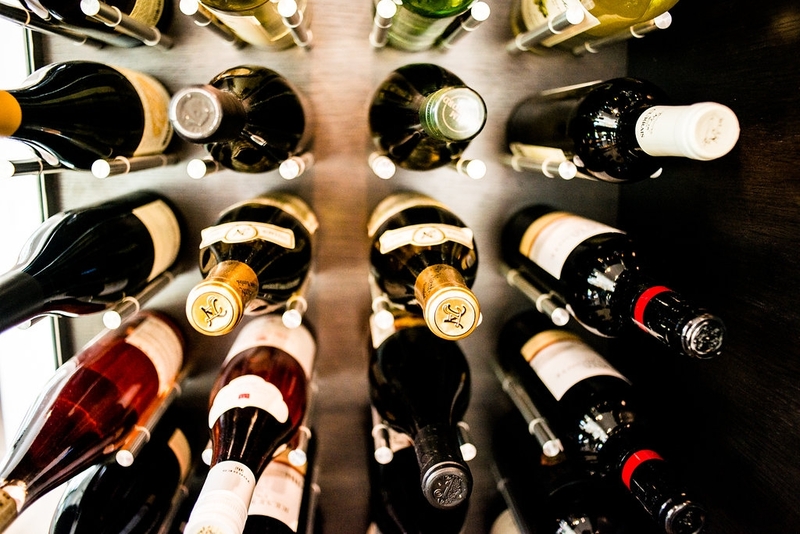 Wine walls are a great alternative to a wine cellar or room. They take up much less space and can be incorporated into a dining space or kitchen for convenience and style.